FREE Display Rack with purchase of 24 books INSPIRE Volume 102 Exciting New Issue Featuring FAMILY Including Celebrities! 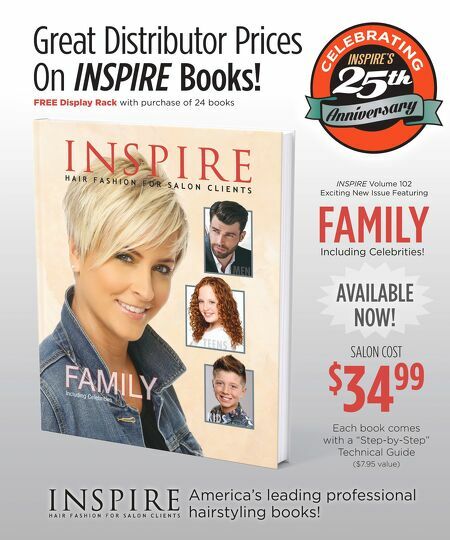 SALON COST $ 34 99 Each book comes with a "Step-by-Step" Technical Guide ($7.95 value) America's leading professional hairstyling books! AVAILABLE NOW!